Ferries from Turku in Finland go to Stockholm in Sweden and to Langnas and Mariehamn in Aland Island with the operator Tallink ferries. With the simple booking form from AFerry you can easily find the right ferry for you. 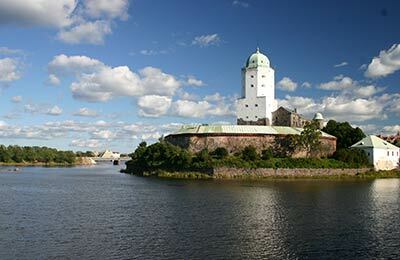 Below you can find Turku ferry times, as well as our best deals. Check in for Turku ferries starts from 2 hours prior to departure. Turku Ferries offer great onboard facilities such as a variety of restaurants including a grill and barbeque house, a cafe, a buffet style restaurant, comfortable cabins, entertainment spaces, a pool, playrooms for kids and duty free shops. Tallink ferries offer great deals and promotions on Turku Ferries and you can take advantage of these by booking simply and securely with AFerry. 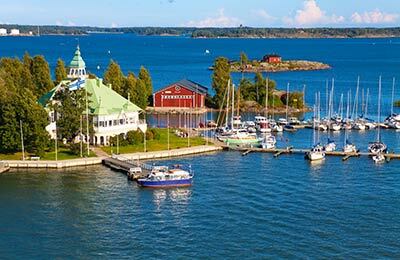 Whichever Turku ferry you choose, you can rest safe in the knowledge that you found a great deal with AFerry. For information on terminal facilities and car parking at Turku port, please go to our Turku Ferry Port Information page. Turku Ferry Port is just 3 Km away from the city centre and provides all the facilities such as a tourist information centre, ATM and bureau de change, shops, public toilets, restaurants and bars, a shuttle service and taxis along with state of the art video surveillance. The Helsingintie road connects Turku to Helsinki. Turku Ferry port is generally very well connected to the rest of Finland and the E18 motorway will connect Scandinavia via Finland to St. Petersburg and via Russia further afield to the east. The bus station is just 120 m from the ferry terminal and the local bus number 1 connects the terminal with the city centre every 15 minutes. The Finnish rail network is one of the best in Scandinavia. There is a train station just 100 m away from the ferry terminal and frequent trains connect to the rest of Finland.